Ultra thin wall, rigid heat shrink sleeve made from PVC. 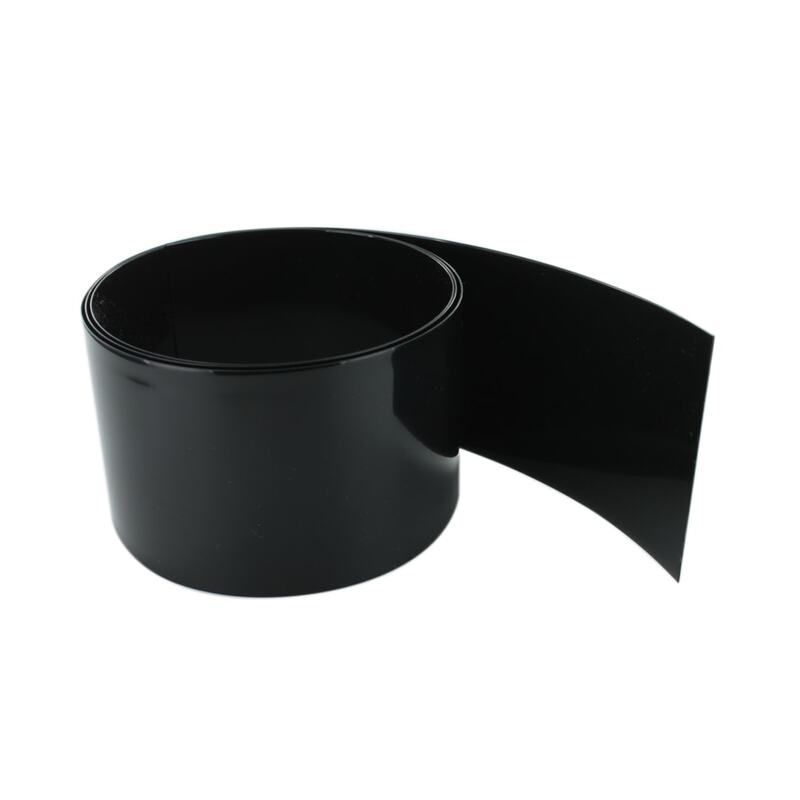 Supplied in black colour and this tubing has a low shrink temperature of 100º Celsius and a continuous operating temperature range of -20º to +105º Celsius. If you require help choosing the correct shrink sleeve size for your battery application, please use our Compatibility Tool. Normally supplied in 1 metre lengths however, if you prefer to have the PVC sleeving either pre-cut to other specific lengths, other colours or higher volumes then please contact us. We can arrange a quotation for you and advise you of alternatives. This sleeving is typically used throughout the Battery Industry as it is very easy to apply using a heat gun. A good tip is to choose the smallest size that will fit around your application and to apply heat gently around the sleeving, not too quickly. This will give you a nice tight and neat finish.